Elton John appears makes an appearance to announce that he will be retiring from touring after his next tour at an event at Gotham Hall in New York. Philly will be among one of the first stops on the music icon's upcoming farewell tour this fall. 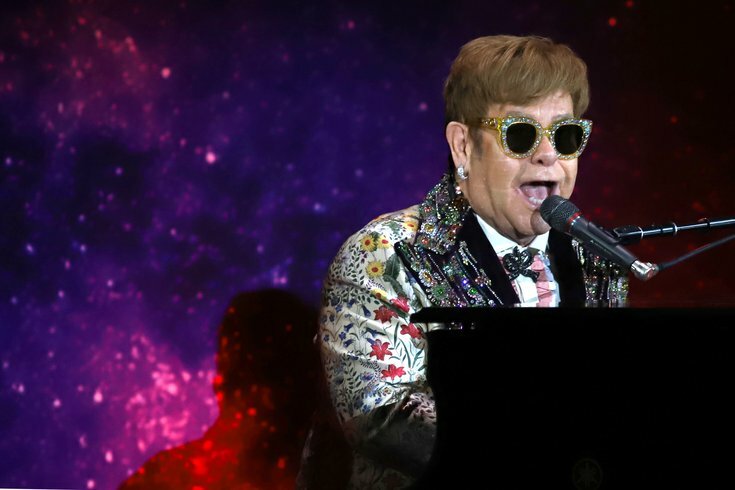 Sir Elton John kicked off his Farewell Yellow Brick Road Tour in – of all places – Allentown this past weekend at the PPL Center. He performed for more than three hours, diving deep into some of his greatest hits, including "Benny and the Jets," "Your Song," "Crocodile Rock," "Rocket Man," "Tiny Dancer," and many others. The show turned reflective, however, as he took a minute to dedicate “Don’t Let the Sun Go Down on Me” to recently deceased rapper, Mac Miller. "I'd like to dedicate this song to Mac Miller," he told the crowd. He also paid his respects to Aretha Franklin, who succumbed to pancreatic cancer on Aug. 16. He dedicated "Border Song" to Franklin, who he has called, "the greatest soul artist of all time." It was reported on Friday that Miller had died of an apparent drug overdose in his Los Angeles, Calif. home. His death has shocked the music community. Childish Gambino performed in Chicago, Ill. on Saturday and discussed his heartbreak over the news of Miller's death, dedicating "Riot" in Miller's honor. Rapper G-Eazy also spoke to a crowd in Tampa, Fla. on Friday about Miller's death, getting emotional as he performed "Everything Will Be OK."